John from fullonadventure is currently driving an ex army truck across British Columbia. He’s doing this in preparation for a new business Fullonadventure is starting in Canada called Rugged Canada. Soon you will be able to hire a camperized off road RV to explore BC on holiday or for the coolest mountain biking transport. River Tubing is now ON!!!! Well as you’ll see from the photo we’ve been river tubing already back in the snow over the winter. Fact is right now we could have hot sunshine or snow but the rivers are flowing so Adventure Tubing and WW Rafting are all on and at great levels! We have lots of brand new extra warm gear including: new gloves, new thick wetsuits, new thick wetsuit socks, new shoes and all the good quality water/wind proof tops have in stock so what ever the weather you’ll be warm and having fun. Back Country Ski Touring trips to BC Canada. The best powder in the world, untouched and waiting for our guests on the upcoming new trips for 2014 winter, BC Canada. Some experience of ski touring is preferable but intro courses in Scotland in advance are available and full guiding is provided. Heres a little taste of what’s in store. So its that time of year when the Full On Adventure guides get to go on adventures. We still answer enquiries by email but the phones are off until the spring so we all get to play and ensure we are at the cutting edge of adventure. We are still open for group bookings in the winter but book ahead as we don’t do last minute in the winter as we are away on adventures. Right now owner John Mason is creek kayaking in washington state, USA. Whilst the snow falls on the the mountains the north west coast of the states has a climate much like Scotlands in the auturm, plenty of rain means great kayaking. Then when the snow comes in force it will be up to Canada for the back country skiing. Check out the photos we are organising a Grand Canyon Full On Adventure trip for 2014, enquire if interested. Suitable for beginner ww rafters or intermediate kayakers. You can even kayak it as a beginner sitting on the raft for the hard rapids. 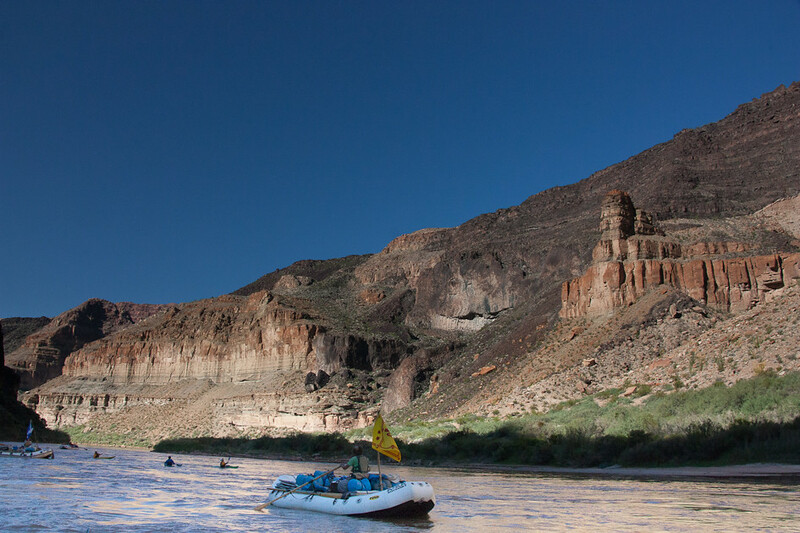 Basically this is two weeks of camping out on warm sandy beaches, eating great food and paddling the ‘Colorado river’ as it flows through the ‘Grand Canyon’ in Arizona USA. Great side hikes add to the experience. We’re number 1 in Aviemore! Last week we claimed the top spot on Tripadvisor for things to do in Aviemore! Thanks to the reviews you have been giving us, we’re now listed as number one of 22 traveller recommended attractions in Aviemore. We would like to say a big thank you to all our customers that have left a review on the site, and would like to encourage anyone else who has had a Full On Adventure with us to go and do the same. Great day for us all. Dad, Elizabeth (11), Jack (8) and Charlie(4) all had a fantastic day with Bastion on the river. Bastion was more an old friend than instructor, his professionalism and knowledge were fantastic and he was wonderful with the kids. 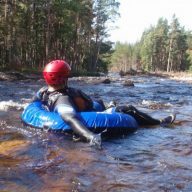 No hesitation in recommending these guys to others looking for an adventure in the Cairngorms, they made a special seat for Charlie and created a bespoke trip to suit our needs. Thanks guys and look forward to returning again for another adventure, cheers. Absolutely brilliant fun and great value!! Instructor was funny but very competent and reassuring with full first aid on hand. 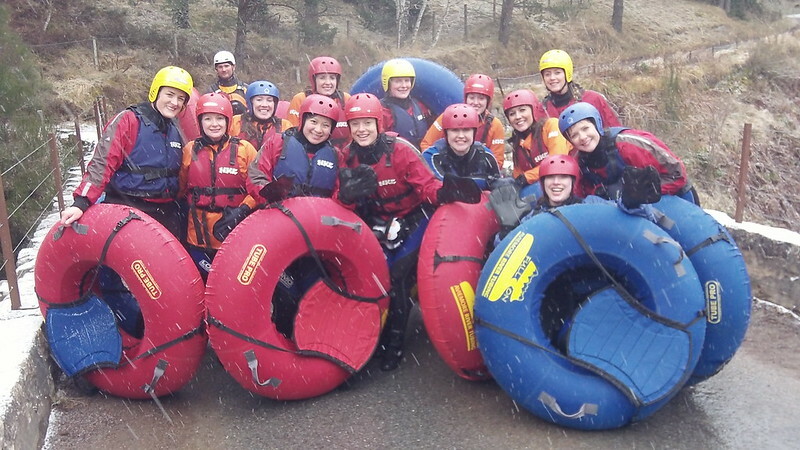 My boyfriend and I decided to do something a bit different on our trip to Aviemore so opted for river tubing. Dan, our instructor, was brilliant. He made us feel safe and had a great sense of humour and fun. We tubed, swam and jumped in the river. We would definitely go again and would recommend it to anyone. Good job! Well what a trip. 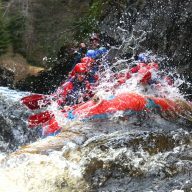 I completed the Great Glen trip in May 2012 in a 15 foot touring kayak with our guide Mark who was fantastic. Mark is clearly very knowledgeable, friendly and approachable and will ensure you have a great experience. I certainly felt the trip was tailored around our groupâ€™s aspirations. The kit we borrowed was in good condition. The boats we had were full adjustable and more importantly comfortable. The camping gear that we borrowed also was in good condition. 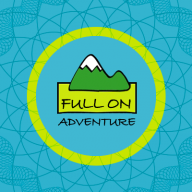 Overall I can thoroughly recommend Full on Adventure and would certainly book with them again. A great trip for my 12yr old son and myself. All the Full on Adventure staff were friendly and helpful. The guide/instructor was Mark. He was really good. His approach to the trip and the people on the trip was first class. The safety of the group was obviously very important to him. Over the course of five days we made our way along the River Spey, all the way to the sea at Spey Bey. We all ended the trip with alot more skill and knowledge than we started with. Both my son and I really enjoyed the trip, as did the rest of the group. I would not hesitate to book with Full on Adventure again.Thanks John and Mark for the experience, Adrian & James. We hope we can keep the top spot because we know we are the most Full On Adventure you can have in Aviemore! If you haven’t left a review for us on Tripadvisor yet, you can do it right now, without even leaving this page! New leaflets just off the press, with our new video as a QR code on the front. Continue reading New leaflets just off the press, with our new video as a QR code on the front. New Aviemore base opening soon. We have just put up our sign on the road, at Inverdruie. 1 week and 100cm later it is still snowing. Back country skiing is just getting better and better here.